Father's Day is just around the corner, and everyone is looking for that perfect gift to give to dad. We are on the road for our #90DayRoadTrip, so we will not be home for my youngest to give his dad a present in person. Instead, we decided to make him a package with some great Dove Men+Care products we picked up at CVS. CVS and Dove Men+Care have teamed up to celebrate dads and all they do for their family. What better way to show dad you care, then to provide him with all the products he needs to care for himself? 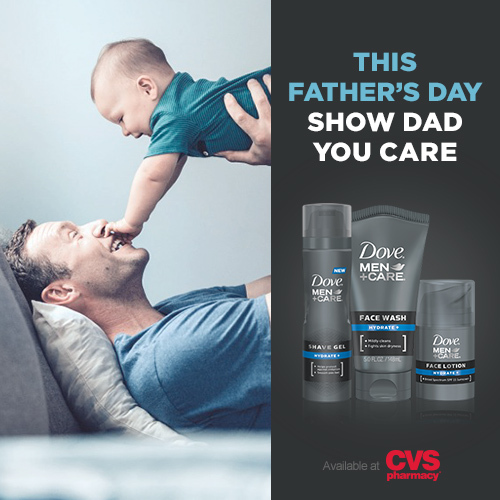 Dove Men+Care is a brand that believes Care Makes a Man Stronger, and their products make the perfect addition to a care package to show dad just how much you love him, no matter how far away you might be. The boys and I headed to CVS to pick out some Dove Men+Care products, and even picked out a Star Wars Father's Day Card for good measure. We added it all to a box that is ready to ship out tomorrow. 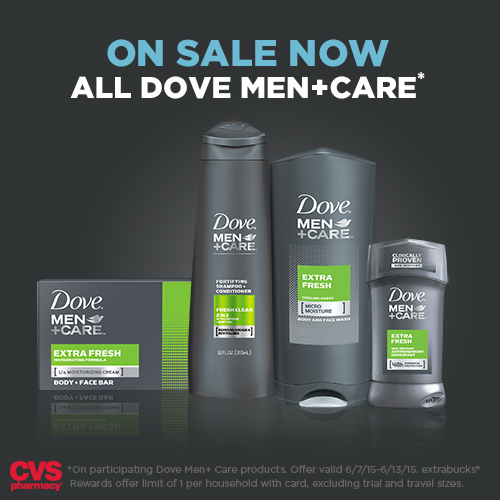 Right now, you can score Dove Men+Care products for a great value at CVS. From 6/7/15-6/13/15, Dove Men+Care body wash, bar soap, deodorant and hair products are just 2/$8 and Dove Men+Care Face Products are 2/$11 with your extrabucks® Rewards card. That means that you can make a care package like ours for under $20! Want to save even more? Look for money saving coupons that came in last weeks paper on 6/7/15. What are you waiting for? Head to your local CVS and create a Dove Men+Care care package of your own today! How do you show dad you care on Father's Day?